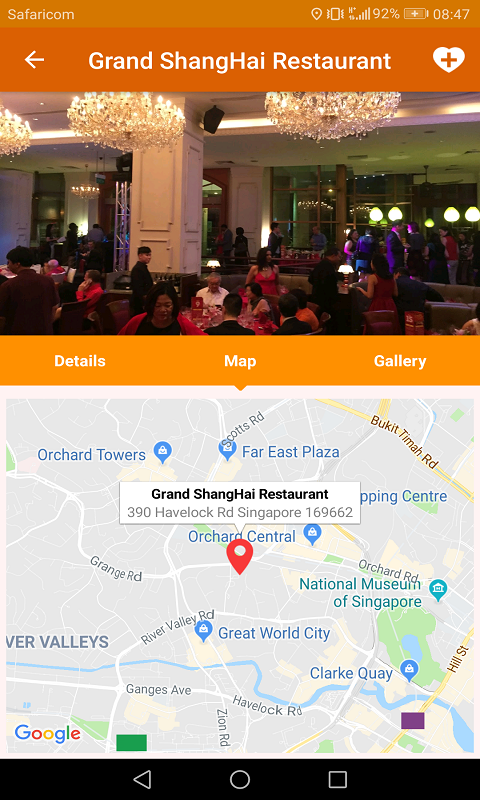 Use this app if you are looking for a fancy restaurant or hotel to get your breakfast, lunch or dinner. It could be used to find the perfect place for a date, a quick meal or a family outing. If you are new to a place, you can easily find a restaurant that fits you by checking our star and prices rating. The are several categories you can choose to, including fine dining, fast foods, casual dining among others. 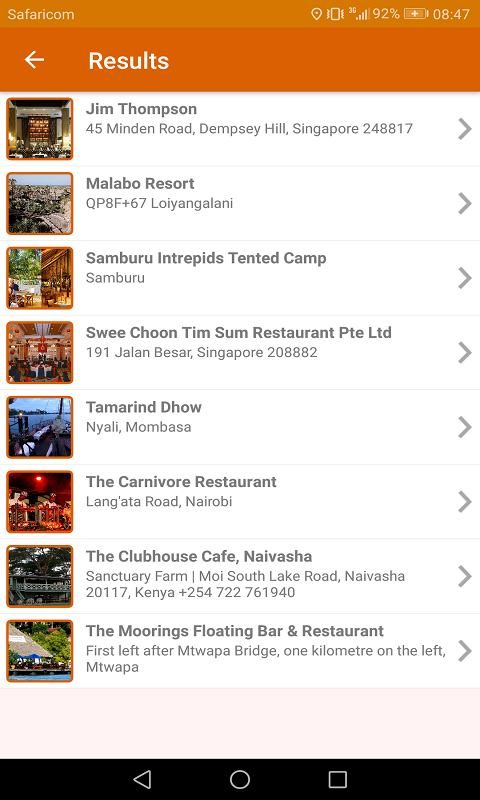 Use the map to find a restaurant near you and even navigate to the restaurant with one click. 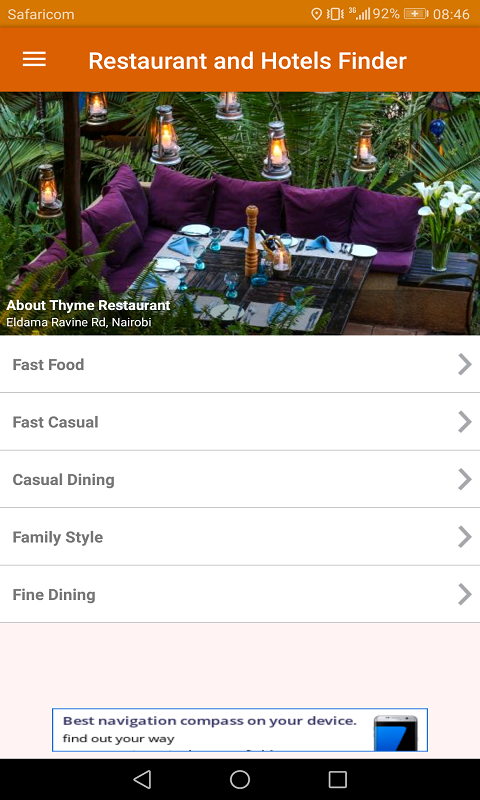 Save your favorite restaurant for quick access and share with your friends. If you don't know what to look for, simply search for a keyword and choose a category and price and food rating ranges. We will feature some of the best and most recommended restaurants from time to time. You don't need data to access the database after an initial database download. You will however miss on the maps and new restaurant updates. Fulfill your appetite for great food now. Happy restaurant hunting!